1. What three words would you use to describe the novel? 2. Where did you get the inspiration for A Night on the Orient Express? It just popped into my head one day, like all of the best ideas. I know it’s not original, as Agatha Christie beat me to it, but it struck me as a wonderful place to keep my characters captive for twenty-four hours, and who doesn’t want to go on the Orient Express? 3. Was there one of the storylines in A Night on the Orient Express you particularly related to? I love Adele’s story, and the way it impacts upon her granddaughter and comes full circle, showing how secrets from the past can influence the future. I loved exploring what it was like to live in a small town as the doctor’s wife in the 1960s, and the constraints that brought – we have come so far since then, and I think a woman like Adele would have had a very different life now. And I wanted to explore how she coped with her frustration and how she was expected to behave, and how she overcame that against the odds and fulfilled her ambition. 4. Would you consider writing about any of these characters further? Perhaps – a lot of readers have said they would love to know what happens next! And I often find that when I get to the end of a book, it is not the end of the story – on the contrary, it is often a new beginning. 5. Did you make the journey on the Orient Express as part of your research? I did! It was incredible and unforgettable – truly the trip of a lifetime. I was very lucky, and can only hope I did the journey justice in the book. 6. Before becoming a novelist you were a scriptwriter, was the transition hard? They are two very different disciplines but scriptwriting certainly gave me a fantastic grounding in plotting and how to cut to the chase – there is no space for padding in television drama. It is very disciplined, and there are a lot of deadlines, and a lot of different people to answer to. When writing a book you are pretty much on your own for the duration, so you have to be very self-motivated. It’s like comparing ballet with breakdancing – you use the same muscles, but in a different way. 7. This is your eleventh novel, how has your writing process changed? In some ways it never gets any easier. You still have to wait for the inspiration to come, the idea that is going to bring your story to life, but after that it is a question of spadework and craft, as a fantastic idea is not enough. I suppose I have learnt to trust myself after all this time, yet doubt is part of the creative process. It’s not enough for me to like what I am writing – you have to put yourself in the reader’s shoes and ask yourself how you can both surprise and satisfy them. 8. How easy/difficult is it to write multiple protagonist fiction? I spent years plotting and story-lining multi-protagonist drama, so I suppose it’s engrained in me, and I find it hugely satisfying, making sure the stories all balance out and have a pleasing shape. Though I wouldn’t say it was easy – it’s quite a challenge controlling all those lives! And sometimes minor characters take over when you least expect it and set you off on a completely different course – but that’s when it becomes fun. That’s when the real writing starts, when you surprise yourself. I think that’s your subconscious working. 9. What advice would you give to aspiring authors on writing successful multiple protagonist fiction? Read a lot – note how the author manages all the different strands, how they change point of view, how they leave the reader hanging at the end of each chapter, how one story contrasts and compares against another. Also, we can learn a lot from Hollywood about storytelling – movies are honed to perfection, and each scene, each moment counts. A well-crafted film will show you how to extract the most dramatic impact with economy. 10. Which authors inspire you? Every book I read will have an impact on me, but I particularly love H.E. Bates for his wonderful description, John Irving for depth of character and humour, and good old Jilly Cooper for all-round wickedness. 11. 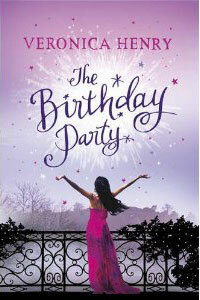 What do you think of the chick lit label? I don’t think any author sits down to write ‘chick lit’ any more – everyone wants to tell their own story and doesn’t want to be pigeonholed. I don’t find the term offensive, but I think it’s unimaginative and easy to brand a book written by a woman that is not literary ‘chick-lit’. But we live in a market-driven world. It’s time someone came up with something new, to be honest! 12. What is your proudest achievement as a writer? I was tickled pink when Jenny Agutter was cast as a guest character in one of my episodes of Heartbeat. And seeing an advert for your book on the Tube takes some beating. But I’m proud of every book I publish, and of the amazing people behind it at Orion who bring it all together. They should be credited in the back of the book, like at the end of the film, because it really is a team effort. 13. What other writing ambitions do you have? Hmmm – I’d love to write a screenplay, a romantic comedy. In my spare time, perhaps!! 14. Which book are you looking forward to reading over the summer? The Misbegotten by Katherine Webb. She is a genius, and her latest is in set in Bath, where I went to school, so I shall devour it with pleasure. 15. Are you working on anything at the moment? My next book! It kicks off with a dastardly act of betrayal, which is very emotional – but also great fun. A tangled family drama which has ramifications fifty years on. I’ve also just written a Christmas novella, called Christmas at the Crescent – a sweet little seasonal love story also set in Bath which I hope will put everyone in a festive mood. I’ve just seen the cover and it is gorgeous. 16. And finally which one a) character from A Night on the Orient Express b) fictional character c) real life person would you want to travel on The Orient Express with? c) Jack Nicholson – you’d never be quite sure what he’d do next.